Two poems from Rumi wandered through my life this week. The first one, "The Guest House" came from one of the students I am teaching this summer. 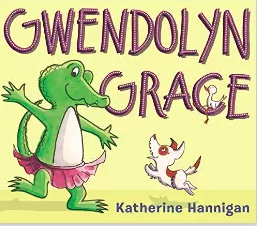 The second was on Kate DiCamillo's Facebook page yesterday. Keri is hosting Poetry Friday this week. Head over there and read some poetry. This is the second intermediate grade novel I've read recently where I've thought, "Holy cow, why haven't more people been blogging about this book?" It's by Wendy, Wan-Long Shang, the author of THE GREAT WALL OF LUCY WU, which I loved and reviewed here a couple of years ago. When his much adored older brother, Nelson, is killed in a car accident, twelve-year-old Peter and his family are plunged into grief. Peter's mother reacts by withdrawing, sitting on the couch day after day, staring blank-eyed at the television. His pharmacist father, Ba, goes to work, and comes home and tries to care for his children. Peter looks after his little sister, worries about his mom, and misses his big brother. Nelson and Peter always loved baseball, and Peter decides that if he joins a team, perhaps his mother will come to watch him play. When there are not enough coaches at tryouts, Ba volunteers to coach a team. At first, Peter is disappointed. He doesn't think his father knows much about baseball. This is demonstrated clearly when his father chooses one of the worst kids at tryouts as his first pick. And then his first practice goes horribly. And all of his teammates are sharing their opinions about his coach/father with Peter. And then there's a huge and very unexpected surprise, which threatens to shut the team down for the year. And Peter discovers that his father does know something about baseball. And he also knows a little about character. And about life. 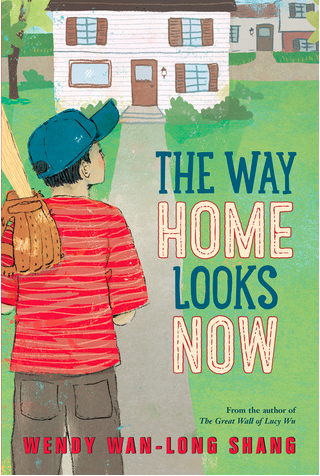 A great story about grieving and family relationships. The book is set in the 1960's, with women's rights playing an important role. And like LUCY WU, the family is Chinese, so there's a glimpse into a different culture. Yesterday was one of my last official days of summer vacation. I spent it at the Drivers' License Bureau. Maybe I should back up. My son moved back from Arizona about six months ago. While he was living in Arizona, he got a new driver's license. Except he really didn't. Somehow he managed to get an Arizona identification card. And then he came back to Colorado and went to trade in his Arizona identification card for a Colorado I.D. Because he didn't have an Arizona driver's license, they didn't give him a Colorado driver's license. They gave him an identification card. It looks exactly like a driver's license except it says on it, "This is not a driver's license." My son didn't notice that, so when he got a speeding ticket, he got another ticket for driving without a license. When he went to court, the judge asked if he wanted a continuance so he could get a driver's license. So yesterday was driver's license day. It actually started Sunday night, when I reminded my son that we were going to go bright and early, to avoid what is usually a long wait. I've been teaching a class all month and had student projects to grade. I wanted to get in and get out quickly. I also reminded my to be sure to bring his glasses, so he could pass the vision test. "I don't have my glasses," said my son. "Where are they?" I asked. "I don't know," snarled my son. I was pretty sure he couldn't pass the eye exam without glasses. Change of plans. Get up early. Locate year long insurance plan on glasses. Grade papers for several hours. Leave house at 9:30. Drive to the mall. Wait outside glasses place until it opens at ten. Order new glasses. Which are not covered by insurance because they were lost, not broken. Sit by a coffee place with my computer for an hour, while son scowls at the top of my head. Drive to the bank to get cash to pay for the new driver's license. Drive to Drivers' License place. Send son inside to find out how much new license will cost. Five minutes later he is back. "There's no one to ask," he says. "Just forget about it. I'll do it a different day." I think about my next week. I am teaching eight sessions of ELA about English Language Learners at the New Teacher Institute. The week is full, full, full. I park the car and Son reluctantly follows me in. I figure out the number dispensing machine and we wait for an hour. It is almost nap time and there are at least 20 crying children. I get out my computer and try to work. Finally they call Son's number. He gets in line. The line inches forward. Forty-five minutes later he has finally got his test. It takes him 30 minutes, then he goes back to the window. 15 more minutes. Back to the computer station. 30 more minutes. He finally passes. Then he comes to me. "Do you have a piece of mail with my name on it?" "No. Do you need one?" I cannot imagine he needs another proof of address. He already has an identification card, issued by this agency. Why would he need another id? We drive home. 20 minutes. Find a bank statement. Drive back. 20 more minutes. He goes back inside and I wait in the car, still trying to grade my papers. I have gotten through about 5 of the 50 I need to do. Forty-three minutes later he comes back with his permit. He has to take the driving test next week. And that is how I spent the last day of my summer vacation. the smallest warrior was Princess Pinecone. And she was very excited for her birthday. Most warriors got fantastic birthday presents. Shields, amulets, helmets with horns on them. Things to win battles with. Things that made them feel like champions. Princess Pinecone got a lot of cozy sweaters. Warriors do not need cozy sweaters. know exactly what she wanted. A big horse. A fast horse. A strong horse. A real warrior's horse. And they tried their best. 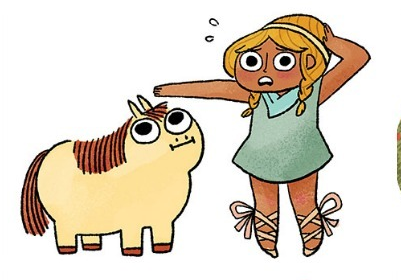 But the horse that Princess Pinecone receives, is ummm, not quite what she had in mind. And yet, when it comes time to face Otto the Awful in battle, her stubby little pony proves a trusty steed indeed. A great parody! Perfect for the first week of school, when kids are just remembering how to do school. Perfect for a compare/contrast lesson with the PAPERBAG PRINCESS! Perfect for talking about archetypes in a high school literature classroom. And just perfectly fun! This is definitely one to own! OK, so I was supposed to have this read and written a post by the middle of the week and it's Saturday and I'm just now getting to it, but hey, better late than never, right? Several years ago, my state encouraged teachers to use a new computerized assessment tool. This tool, which shall remain nameless, was touted as the be all and end all, it could differentiate, diagnose kids' reading needs, and prescribe instruction. I was teaching fourth grade that year. Every six weeks, we would march off to the library, where a bank of computers was set up, and children would take the assessment. Some children took it very seriously. I still remember Alicia's look of consternation as she told me, "I knew, right away, that I had chosen the wrong answer for the first question. But it wouldn't let me go back and fix it." That time she dropped two years, then made a remarkable gain, four years growth, six weeks later. 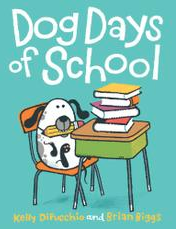 And I remember Taylor, a great big Saint Bernard puppy of a guy, who had never read a book but read his way through the entire STINK series that year, then graduated to BIG NATE. He finished in about three minutes every time. "I hate those tests," he said. "The words (font) are too little." Mostly I remember the post-test data review meetings. We'd review the scores one child at a time. 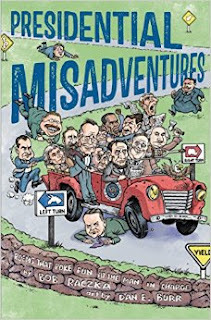 They varied wildly from one administration to the next. I was supposed to be able to tell why. And mostly I couldn't. I didn't think I was doing anything differently, except maybe worrying more, during the six weeks when kids did well, than I was in the six week blocks when they did poorly. I had other sources of data-- running records, reading logs, reading responses, anecdotal notes-- but those didn't hold the legitimacy of this test. We gave those tests for two more years after I left fourth grade. I had moved to a coaching position and helped administer the test to everyone from kindergarten to fifth grade. I saw similar trends with the older kids. With our kindergarten and first grade kiddos, it was a disaster. They weren't used to headphones. They didn't know how to use the mouse. The test didn't measure, at all, what they knew about early literacy skills. Instead it totally measured their technology skills. We ended up using the DRA/EDL word analysis tasks to get the data we actually needed. I thought of this experience as I read Chapter Six. On page 92, Franki and Bill state, "We must ensure that we are assessing students' growth as readers and writers rather than assessing isolated technology skills." So, so, so true. I would add, "And when we use technology, we must triangulate the data with information from other sources, just like we always have." And we must receive the data in a timely fashion. Like so many others, we administered the PARCC last year. We haven't seen any results. We don't have any information we can use. So why are we giving it. I do think, though, that there is a positive side to assessment with technology. On page 93 and 94, Franki and Bill share several tools. At my school, we have been using Google Docs for the past several years. We use it to compile data, to track progress in reading, writing and math, and to keep notes on behavior. I don't think we have arrived, though. Teachers dutifully enter the data, but I don't think they always see it as useful, or use it to guide their instruction. We have a ways to go in that area. I want to try Evernote and see if they like that better. And I bought an iPhone, so I can start taking pictures and videos of student learning. As I read this chapter, I also thought about the whole aspect of monitoring student growth in using technology. We need to being the year by figuring out what role technology plays in kids' lives. For that reason, I loved the digital reading interview on page 89. If we really are helping our students to become college and career ready, they have to know how to use technology. They have to be able to do internet research, to analyze the credibility of sources, to annotate text, to compare sources, to use information they find, etc. They have to be able to collaborate, and to write and create. It seems to me that we need to somehow keep track of whether we are helping them do that. And yes, I agree with Franki and Bill, that we have to bring families into the mix, just like we always have with "more traditional" forms of learning. We have to know what access kids have at home. I really couldn't say how many of my students have computers and internet at their houses, but most of them have smart phones. And they have social media accounts. This week, I was floored when a teacher showed me a fifth grader's Facebook page. This little guy is very, very shy. He struggles and struggles and struggles in school. And yet he creates incredible graphics on his Facebook page. And I wonder why we never knew about this strength. Or tapped into it. I wonder how we can use social media with our parents. Our assistant principal created a Facebook page. I wanted to post on it several times a week this summer, but I haven't done as much as I had hoped. When we do post, we don't get lots and lots of hits from parents, so I wonder if they look at it, and if it's worth our time. I would love to encourage teachers to set up websites, but I wonder about that too. This week, I watched a teacher update a class website. It was beautiful and looked pretty functional too. There was a button for a weekly newsletter, for class assignments, for kids' work. 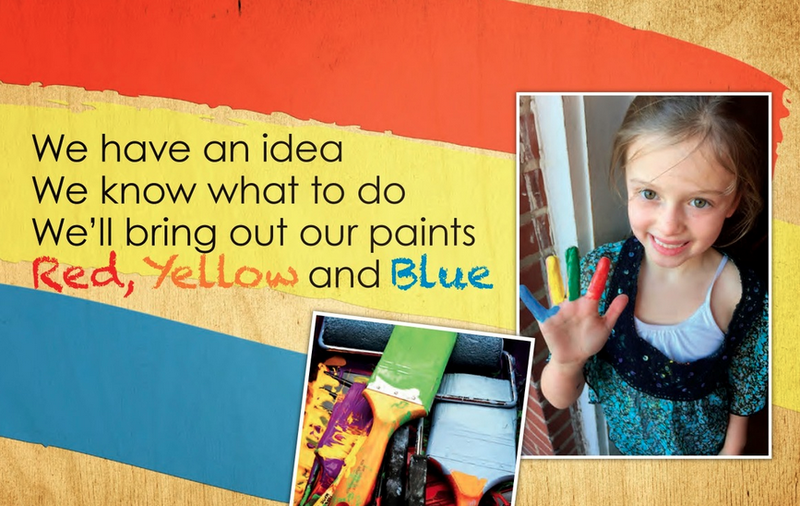 When I commented on her website, she said her principal requires her to have a website, but she doesn't think parents use it much. She teaches at one of the most affluent schools in Denver and I wonder what it would be like at my school, where the parents are far less educated. 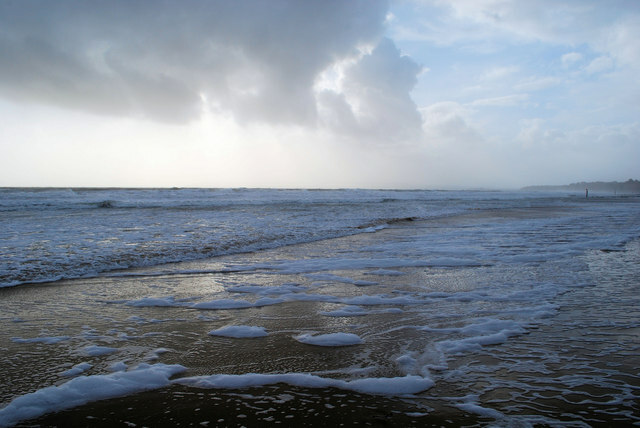 "I Happened to Be Standing"
You can hear Mary Oliver read the rest of this poem here. And here is an NPR interview with Mary Oliver. Margaret is hosting Poetry Friday at Reflections on the Teche today. A couple of years ago, I started listening to audiobooks. I was driving to Colorado Springs a lot more often and the 130 mile round trip was tedious. A friend suggested I try audiobooks and I was hooked. I listen read mostly adult books, with a little YA thrown in. I love nonfiction- biographies, memoirs, etc., but don't like books where I'm trying to learn nearly as much, because when I read those, I feel like I need to take notes so I can remember more. Depending on how much driving I am doing, I can knock out a book in two or three weeks. This summer I've read a couple that I have thorougly enjoyed. 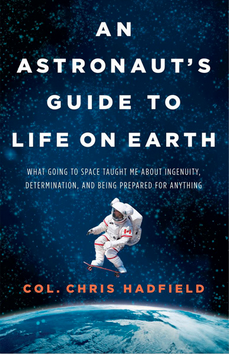 AN ASTRONAUT'S GUIDE TO LIFE ON EARTH is a memoir by Canadian astronaut Chris Hadfield. From the time he was a very young child, Hadfield knew he wanted to be an astronaut, and planned his life accordingly, rising up through the pilot ranks of the Canadian Air Force and finally being selected as one of four people out of over five thousand who applied (talk about perseverance!). Between 1995 and 2012, he went to space three times, with his last mission being five months on the International Space Station. His stories of life as an astronaut are super interesting-- if I was trying to sell this book to middle or high school kids, I'd read the chapter about re-entry into the atmosphere on his final flight. There's also a little life philosophy thrown in. While he was in space, Hadfield also made a series of Youtube videos about life in space, in this one he makes a peanut butter and honey sandwich. And here's another one where he explains what it's like to cry in space. The audiobook is read by Chris, and I think it would be terrific for a family road trip! 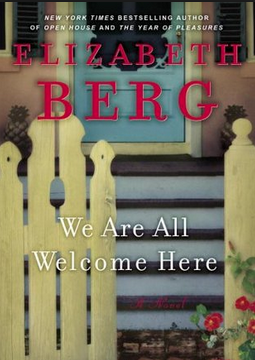 My other recent audio read was WE ARE ALL WELCOME HERE, read by author Elizabeth Berg. Diana Dunn is a fourteen-year-old girl growing up in Tupelo, Mississippi in the 1960's. She is being raised by her mother, Paige, who had polio when she was eight months pregnant, and is paralyzed from the neck down, and Peacie, her mother's African American assistant. I loved Paige's indomitable spirit; in some ways she reminds me of a female Atticus Finch (and no, I haven't read the new Harper Lee book yet). This is a really fast audio read, only five discs. In an author's note before the book, Berg says the story came from a letter that she received from a woman who actually grew up in a similar situation. Quick and enjoyable- it would be a good mom and teenage daughter road trip book. One of my favorite things about blogging is the people I meet. Ok, well, mostly kind of meet. Every once in a while though, I get the opportunity to actually meet one of those people face to face. I've been reading Elisabeth Ellington's blog, The Dirigible Plum, for the past year or so. Elisabeth and I have a lot in common. For starters, we both did graduate work at the University of New Hampshire. Maybe more importantly, we are both charter members of AMOK (Adoptive Mothers of Older Kids). Both of us know the joy of coming to motherhood through adoption. And we also know how stinking hard it is to be the moms of kids who have been through lots and lots and lots of trauma before they came to live in our homes. And try to help those kids heal. Elisabeth writes eloquently about this experience at least once a week, in her Tuesday Slices or at Ruth Ayres' Celebration Saturdays. And every week, when I read about Elisabeth's experiences, I think, "Oh my gosh, she has been to my house." Sometimes Elisabeth's posts make me laugh. And sometimes they make me cry. The AMOK club can be very, very hard. But tonight, it was very, very good. A couple of weeks ago, Elisabeth sent me a Facebook message that she was going to be in Denver today. We decided to get together for dinner. We met at a new restaurant, attached to the Tattered Cover. We ate yummy Detroit pizza (did you know there was such a thing? In case you are wondering, it's rectangular, and cheesy and very delicious). We shared our stories. Laughed. (I bet we could beat most other slicers at recognizing tennis shoe and sports gear brands and products). We also shared stories of how hard it is to help a traumatized kid heal. It's super hard. And sometimes super lonely. But tonight, it was just really, really good. I'm really thankful for this community. And for all of the terrific people I have gotten to know. If I didn't slice, I would never have gotten to meet Elisabeth. 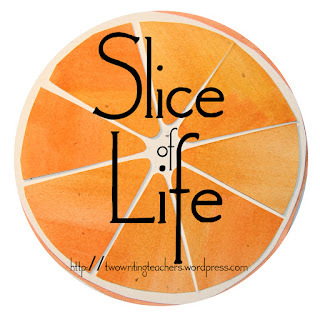 Thank you, Slice of Life community. Today is my first day back to school. OK, not really, but with three days of training this week, then four days each of the next two weeks, then starting back for reals, this feels like summer is over. 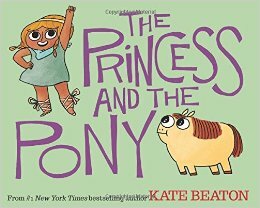 Seems like a good day to post a couple of quick reviews of some new-ish, school-ish picture books. Charlie thinks his dog Norman is living the good life. Norman thinks Charlie has the better end of the deal. Charlie wishes he were a dog and the next morning, guess what? After a week of switched roles, Charlie decides he doesn't like drinking out of the toilet or being locked out side, and Norman doesn't like listening to stories about cats, so the two switch back. Predictable but fun. Add this one to your point of view basket. Mr. Panda has some doughnuts he would like to share. 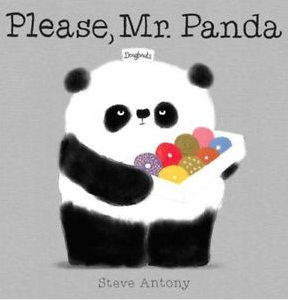 However, his friends, Penguin, Skunk, and Whale don't seem to have the manners to ask politely for a doughnut, so Mr. Panda doesn't share with them. 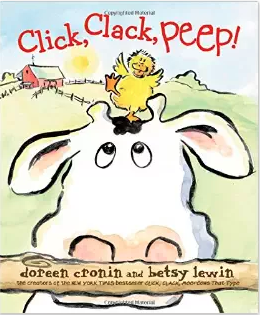 Short, with a repeating refrain, great addition to any preschool or kindergarten manners unit. Also, it looks like there is a bilingual edition of this book, which always makes me happy! My Rottweiler mix, Jack, loved, loved, loved going to the dog park and we used to go to one close to my house several times each week. He loved meeting other dogs and would chase balls as long as he could find anyone who would throw one. My current dog, Star, also loves to go to the dog park, but she could care less about other dogs. Her objective is treats and she moves from person to person, politely sitting down in front of them, sometimes nudging a pocket, sometimes drooling a little, until people feed her. Her relentless pursuit of treats is just a little embarrassing and I rarely take her to the dog park. I miss going though and hanging out with other people who love dogs. 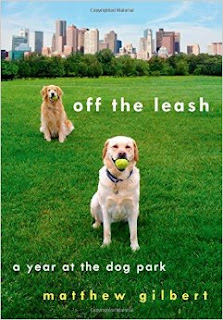 I was delighted then, to find OFF THE LEASH: A YEAR AT THE DOG PARK by Matthew Gilbert. Gilbert is a television critic for the Boston Globe. Several years ago, he and his partner, Tom, adopted a yellow lab puppy, Toby. Although Gilbert had never been a dog lover, and was, in fact, afraid of dogs as a child, he and Toby quickly bonded. Someone suggested that he and Tom should take Toby to the Amory, a neighborhood dog park for socialization and exercise, and it quickly becomes a daily habit. Gilbert beautifully captures a year at the dog park- everything from the poop delinquents (people who don't pick up after their dogs, but aren't malicious, they just kind of forget the dog has gone), to the poop rebels, (those people who actually refuse to pick up after their dogs). He chronicles the humpers (I laughed out loud at this chapter) and the fighters. And the friendships among the dog owners, the dogs, and the dogs with their owners. Maybe most importantly, Gilbert captures his relationship with Toby, and how the relationship changes and betters him as a human being. Toby had made me a more contented, freer person, someone who lives and loves despite the outcome, someone who risks play and who no longer needs to forge excuses. When I can't hear his panting furry blond head nearby, and feel the weight of him on my feet, and smell his paws, and feel his confidence and cheerfulness and automatic forgiveness, I will still have his spirit embedded in mine. He will exert his presence; he will be a part of my everlasting family of choice. That little goose I unhooked at the park every day-- I will remember how he took me into his caravan, how he pushed me to play ball, how he led me onto the field, how he let me off the leash (218). I think pretty much anyone who has ever owned a dog or loved a dog can identify with these sentiments. If you are one of those people, you should read this book. You will love it! The looks of our town. After the first few pages, there is less text. The book is illustrated with photographs that show the people of Ferguson, all colors, all ages, all shapes and sizes rallying over the Thanksgiving weekend to reclaim their town by painting over 140 murals on the boarded up buildings. The book carries messages of hope and peace and the power of a caring community. It would be a terrific resource in a unit on peace or advocacy or community. And not surprisingly, it has been chosen to represent Missouri at the Library of Congress National Book Festival in September. Read another review and see more of the murals at Kid Lit Review. Visit the book's website here. 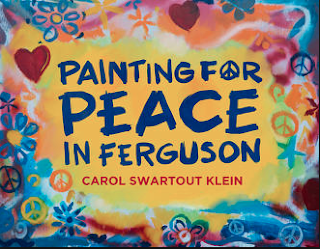 You can order the book there and proceeds, aside from printing costs, will provide arts program for the youth of Ferguson and also help businesses in the area. Visit the Painting for Peace Facebook page here. Kimberly is hosting Poetry Friday this week. 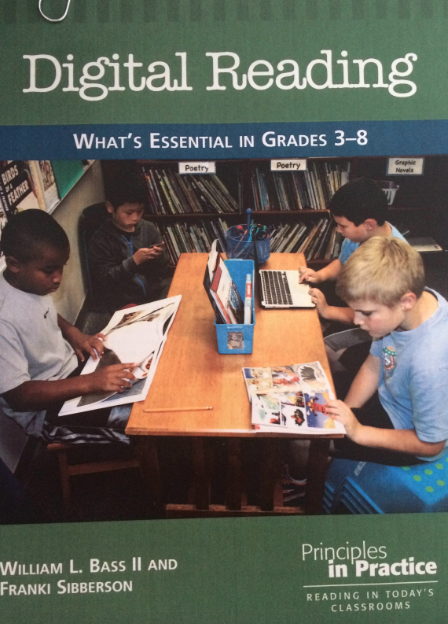 This morning I got up knowing I needed to write my post for Chapters 3-5, which focus on Authenticity, Intentionality, and Connectedness, the three tenets Bill and Franki see as critical for thinking about digital literacy instruction. I have to admit, I have been procrastinating about writing my response. The topics feel so big. I feel like I have soooo much to learn. And I don't even know where to start. Before writing the reflection, I jumped on Twitter for a minute and discovered that there was a Twitter Chat around these three chapters that was scheduled to start in a few minutes. I wondered what people would say. I wondered whether that might clarify my thinking. I decided to stay and listen for a few minutes. The Twitter chat was absolutely fabulous! A perfect example of how the internet can open up new connections! People shared lots and lots and lots of great ideas and resources. If you missed the chat (or if you were at the chat and just want to review some of the fabulous resources we learned about, you can read the transcript here. A couple of days ago, at Reflect and Refine, Cathy Mere (who I think is pretty much brilliant) had a post where she suggested choosing a digital core of 3-5 apps that are your go-to's, the ones you know you can count on all the time. Within her core, Cathy included Educreations, Google Apps, Twitter, Padlet and Kidblogs. Cathy started me thinking about developing my own core of tools. We use Google Apps at my school pretty much every day. I have had a Twitter account for the past few years. I use it during the summer, but am not nearly as good when I'm busy during the school. I'm thinking I want to add one or two tools. I'd like to check out Evernote. I also want to try Padlet. And finally, I really want a tool that I can use to create things like memes and charts. Maybe Educreations, but maybe also Show Me or Explain Everything, which Cathy said have similar purposes. I'd also like to try blogging with kids, which I have never done, even though I have had a blog myself for the past few years. Finally, I'd like to use some kind of a digital reading log (not sure if that is the right term?) with kids. Many years ago, probably about 20, I took a class from Jane Hansen at UNH. One of my classmates had a little notebook he carried around in his pocket. In that notebook, he had written down every book he had read since he was eight years old. I have thought about that notebook off and on, and what a cool resource it could be for kids. For the past few years, I've used Good Reads off and on, but not nearly as faithfully as I could/should. I want to be better about using it myself. I want to start using a record keeping tool with kids. Authenticity is grounded in purposeful choice. Our students must know what is possible. I use digital tools in ways that expand, analyze, and record my reading, in ways that make my reading more meaningful (27). I think I have always been a teacher and coach who emphasizes authenticity. I work really hard to make sure that the things I am asking my students to do are things I do myself as a reader. I don't ask kids to make dioramas, or write letters to fake people. If I ask students to read an article or book, or to write a response or essay, I do it myself first. I'm not sure I am doing that good a job with authenticity as a digital learner. I don't think I take as many risks as I should. I don't live my digital life nearly as publicly as I live my print life. I don't want to make mistakes in front of people, or admit how little I actually know. I want to take some new risks as a literacy coach. I want to experiment with the tools I discussed above, then that first week of school, when we are doing professional development and talking about the new year, I want to include the tools I'm trying to learn. I want to buy an iPhone. I might even go do it this afternoon. I've joked for years about my flip phone, but I'm realizing now that an iPhone could be a really valuable tool in the classroom. And I think I am going to go buy one. Along those lines, Michelle Nero has created a Google Doc of Digital Reading Resources for us to keep track of all of the tools we are learning about. In our discussion this morning, I talked about categorizing these tools by purpose, e.g. for record keeping, for creating, for learning new things. I think it would be cool to create some kind of a menu in the classroom, and add tools to it as we learned them. 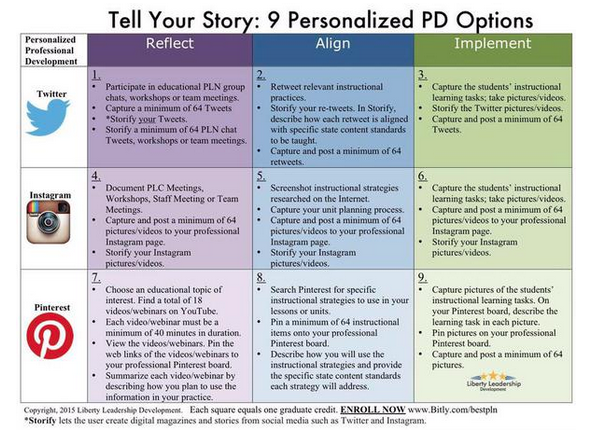 And this morning, on the Twitter chat, Randall Sampson shared this tool. I wonder how I might use or adapt it with our teachers. Digital tools have expanded my options as a reader (I would add teacher and thinker!) allowing me to make meaning at a higher level because of the variety of information and the multiple communities available to me (68). Over the past few years, my digital community has been such a huge part of my learning. The conversation this morning was a perfect example. Such a rich and energizing experience. 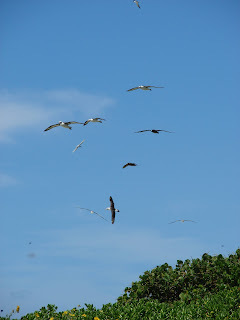 So many terrific ideas flying back and forth. I asked a lot of questions. I threw out bunches of ideas for feedback. I grew a lot, just as a result of that hour. This morning I learned about Voxer. 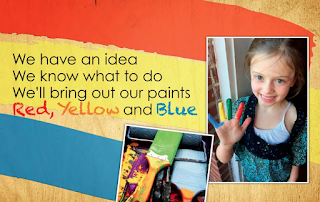 Michelle shared a post by Angela Watson that seems to be a basic overview/how to get started. Shortly after the Twitter Chat, I was "talking" with Cathy and she said, "Are you on Voxer?" I'm not, but as soon as I get my iPhone. That conversation was a small segment of my online life. I'm constantly reading blogs and articles on line. I follow people on Twitter. I do "Slice of Life" every Tuesday, and then every day in March. I participate in Poetry Friday and write Poetry the entire month of April. I don't know, though, that I am that good at getting the teachers at my school involved in the online community. And I want to get better. I also want to continue and expand the collaborations we have been doing with Google Apps at our school. I collaborate with the Leadership Team to create presentations and other documents. Teachers and I create documents on a pretty much daily basis. We've also worked a lot with our students on using Google to collaborate. It's been powerful learning for me. Lots and lots to think about. And now I'm going to go buy an iPhone. So should I admit it? I am not very good at housework. In fact, I pretty much stink at housework. And besides that, I really hate housework. My idea of housework is moving the stacks from the dining room table, where everyone sees them when they walk in the front door, to my office, in the basement, where I can pretty much shut the door and no one knows there are stacks. The problem has been greatly exacerbated for the past year. Every Sunday, I go down to Colorado Springs (a 130 mile round trip) and spend the day with my mom. We go out to lunch. Sometimes do a little shopping. Watch the Rockies. I love spending the time with my mom. But that leaves only one day for housework and grocery shopping and errands and everything else that has to happen on weekends. Which means even less gets done. At the beginning of the summer, I promised myself I was going to get serious. Throw out a bunch of stuff. Donate a bunch of stuff. Whip this house into shape. And I really did mean it. But then my mom got sick and spent three weeks in the hospital and in rehab. And then my son totalled his car. And then he spent a week in the hospital. And I have not done very much housework. About the first of July, I bought a book, THE LIFE CHANGING MAGIC OF TIDYING UP by Marie Kondo (When all else fails, buy a book, right?). Kondo advocates taking a category, e.g. clothes or books or papers and putting everything from that category into a big pile in the middle of the floor. Then you figure out what you want to keep and thank the rest for its service to you and then get rid of it. And I think that sounds great, in theory, except that I don't think I have a room in my house big enough to pile all my books. And I'm a little worried that I wouldn't get them put back and they would all sit in a gigantic pile for the next school year. And then besides that, the LIFE CHANGING MAGIC book got a little buried in several other piles of books and now I can't quite find it. And now it's mid-July. And I'm teaching a class and responding to papers for twenty people each week. And trying to do #CYBER PD. And next week I have to take a class for three days during the day, then two more evening classes. And the week after that is three days of classes and another evening class. And then it's August 1st. And I'm pretty much headed back to work. And the house hasn't really gotten cleaned. Have I mentioned that I really stink at housework? My oldest son is going through a really dark, hard time right now. 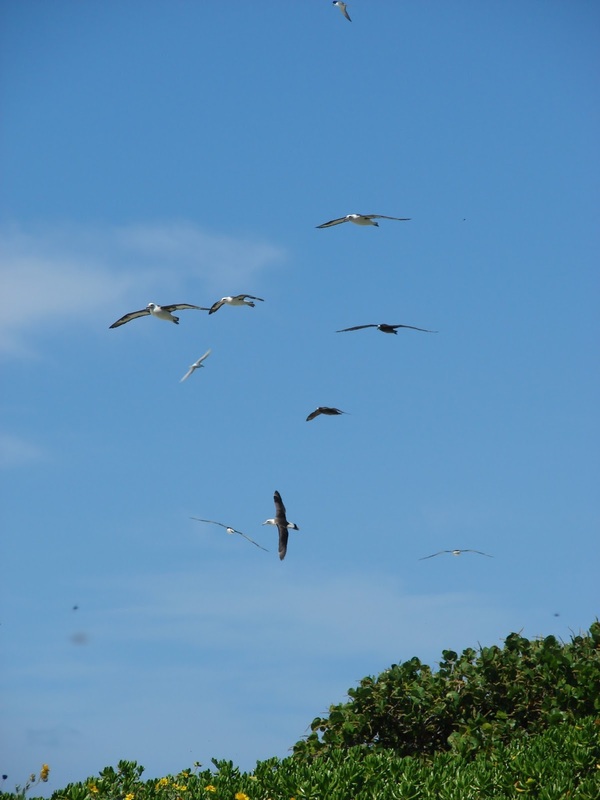 He has pretty much had to abandon his life dream, and doesn't yet have a new one in place. There is a rift between him and his brother, who has always been his best friend. Some health issues are keeping him from getting a job and he is faced with long periods of loneliness and boredom. 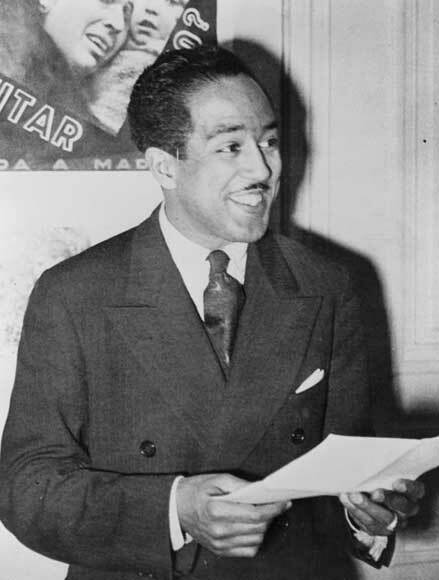 All summer, Langston Hughes poem, "Dreams" has been echoing in my head. This morning, I decided to try to find a couple of other new- to-me Langston Hughes' poems. Poetry Friday is at THE LOGONAUTS. Phew! Finished chapters one and two of DIGITAL LITERACY last night and my head is full, full, full! First, I'm thinking about AUTHENTICITY-- the ways I use digital literacy in my life and the opportunities I provide for my students. I am a digital reader, I think, but really only kind of. A typical day for me starts with reading the Bible. I go back and forth between doing reading a plain old-fashioned hard cover Bible and reading online. I really want to be focused on being still before God and quieting myself to go out into the day in a good way. For that reason, and because I have a tendency to be a little distractible, sometimes reading on paper works better. At the same time, there are definite advantages to reading online. I can read in different versions of the Bible. I can check out references to other verses. I can dip into commentaries if I want or need to know or understand more. Sometimes I type out a verse or two, and mess with it almost like I would a found poem, breaking the lines, emphasizing or repeating different words, etc. All of those strategies help me to understand at a much deeper level. As I head into the day, I'm online constantly. This morning, I read CNN and 9news to see what is going on in the world. I read email. I connected with a friend who is helping her mom move to assisted living. I connected with a colleague about some work we had done together. I read a couple of my favorite blogs. I checked Twitter to see what people were saying the day after Nerd Camp. I did a mapquest search to figure out how to get to a 9:00 appointment. After that meeting, I will head to my school, where we will use google docs to take notes as we interview a couple of teacher candidates I'll read and respond to student work for a class I am teaching this summer. Later on, I will use Duolingo to practice my Spanish. And I'm sure I will spend some time on social media. Basically, I use technology all day every day for connecting with friends, family, and colleagues near and far, to stay current about what's going on in the world, for research, for writing, for learning new things…For me, those are all authentic uses of the computer. I want my students to have those same authentic opportunities. However, I teach in a large urban district. The free and reduced lunch rate at my school is about 90%. About 50% of my students are English Language Learners. Many of them, however, don't have working computers or internet at home, nor do their families have the funds to procure those resources. We have a computer lab at school (yeah, I know that is a controversial topic) and we also have several carts of Apple laptops, which are used constantly, but we definitely don't have a 1-1 situation. It's a constant battle to get a computer cart. Many, maybe even most of our students do have cell phones and lots of those are smart phones, but at this point, administrators at my school are not open to students having their cell phones in class. 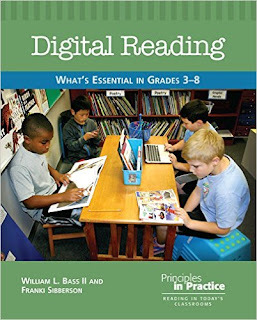 Sibberson and Bass suggest that to be digitally literate, our students must have a deep understanding of a variety of tools, as well as understand how the tools work, and what tools might be best for a specific task (6). Later on they assert, "It's about changing the ways we think about interacting with ideas and content. It's about giving students opportunities to use the tools as part of their daily routines and to become independent and flexible in their reading lives (23) and how they can become independent and flexible and develop deep understandings if they don't even have ACCESS to computers. Finally, I'm thinking about EXPERTISE, or maybe lack of expertise, specifically my own. 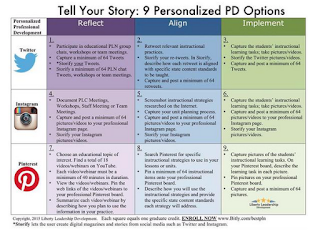 I'm blown away when I see the things that my professional learning community do with technology- the variety tools they use, the presentations they create, the different formats they employ. While I think I'm reasonably savvy on the computer, I don't do any of those things. I don't own a smart phone or a digital camera. I have an iPad that I hardly ever turn on. I don't use Evernote or Pinterest or Instagram or Haiku Deck. I've never made a book trailer. And it feels really overwhelming to figure out where to start. I wonder, then, how I can give kids expertise that I don't have myself. I love the chart on page 10, and also the chart on page 19-20. I wonder if I could just choose one area as a focus for this year and really work hard to improve in that area. Would that be enough? I have lots and lots of questions tonight. I'm hoping I will have a few more answers by the end of this study! Do you ever look at a situation and think, "There's got to be a story here somewhere." I always wish there was a hyperlink and I could click on it and find out what was really going on. I see hyperlinks all the time when I am walking my dog. Last summer for instance, I came upon an entire block with every single tree all the way down the block festooned in purple ribbon. Several neighbors were outside and because I might be a teeny bit nosy, I asked what the ribbons stood for. It turned out that someone on the block had died of pancreatic cancer. The ribbons were a show of support for his wife and family. There's another hyperlink situation on my street right now. I live in an old neighborhood. People like the idea of living in the city, close to downtown, close to museums, etc., but they don't like the little houses, with little closets and no modern conveniences. So they buy the lots and tear 90% of the house down, then they build a mini-mansion that extends to the very edge of the lot. Right now there is one going up down the street from me. The interesting part, though, is that the house just to the north of it has a roofed patio. Right now, the roof of the patio is hanging over the fence of the new house. And there's a downspout from the existing house that actually goes right down into the new house's yard. Every time I walk by it, I wonder about that roof and that downspout. Who is over whose property line? And how are they going to resolve it? Even closer to my house, there's another hyperlink. About half a block down, there's a woman who teaches English in a neighboring school district. I don't know her well, but we have nice conversations about teaching and books and last summer, she asked for advice about her son, a first grader who was not quite reading yet. 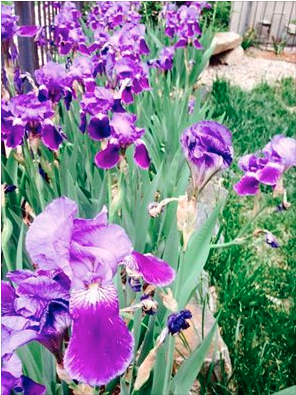 She has a beautiful, beautiful, beautiful garden in her front yard and she's out there all the time in the summer. She tells me pretty regularly that when she retires she is going to have a gardening business. Except this summer she hasn't been out there at all. No one is working in her garden. I have seen her little boy on the porch, but she's not around. And I wonder where she is. And if she is ok. I want to go knock on the front door and ask, but I don't know her that well. Definitely one of life's hyperlinks. Finally, there is a hyperlink situation going on at my own house. My boys have always been super, super, super close. Best friends. It is rare to see one without the other. If one forgot his lunch money, the other one shared his lunch. At football practice they always stood next to each other. When they went out on weekends, I knew they had each other's backs. Something has happened in the last few weeks, since Son #1 came back from his road trip. Son #2 doesn't want anything to do with him. Barely talks to him, doesn't ask him to do stuff, hardly even acknowledges his presence. Last night I came home from book club and Son #1 was sitting down the basement crying. I'm pretty sure it has to do with his brother, but I don't know what's going on. And no one will tell me. People who regularly read my blog will be surprised to see a book that features cats because they know I'm a dog person, but this one's too good to pass up! Miss Hazeltine opens a home for shy and fearful cats and soon has many companions, including Crumb, the most fearful cat of all. Miss Hazeltine teaches her new friends all kinds of lessons- Bird Basics, Climbing Up and Climbing Down, Scary Noises, Meeting New Friends, Pouncing, and the hardest lesson of all- How Not to Fear the Broom. Crumb doesn't participate in these lessons, instead, he spends most of his time hiding in pitch black places. One day though, Miss Hazeltine sets out to get more milk for the cats. On the way home, she falls into a ditch and hurts her ankle. It's up to Crumb, to lead Miss Hazeltine's band of timid cats, armed with the broom, to save her! A terrific read aloud for the beginning of the year. An engaging story, not too long, great language, terrific illustrations by Birgitta Sif. You could also use it for discussions on bravery or growth mindset or character change. This dog lover thoroughly enjoyed MISS HAZELTINE'S HOME FOR SHY AND FEARFUL CATS! Millard became the first White House librarian." They spoke not in English but Chinese instead. 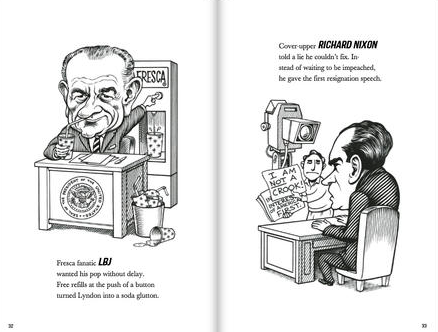 Illustrations are black and white, almost political cartoon style. An author's note in the front explains the history of the clerihew, then author's notes in the back give a little more background about each poem. These would be fun to try as part of a multi-genre research project. Donna at MAINELY WRITE is hosting POETRY FRIDAY today. When I go to baby showers, I usually try to bring a sibling present as well. Here are three new books I'll be wrapping in the not too distant future. Farmer Brown and his crew are back. There's a new addition to the farmyard, Baby Duck, who charms everyone with his silly antics, until it's time to go to sleep, that is! Little Miss, from Rosenthal's PLANT A KISS is back. And is going to be a big sis! 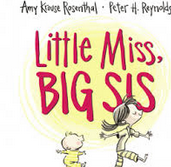 Rosenthal's rhyming text and Peter Reynolds' illustrations, convey the joys and irritations of siblinghood. Do not despair-- I'll help care!